View presentations by our talented faculty members and leading industry professionals on issues relevant to women in today’s changing financial services industry. 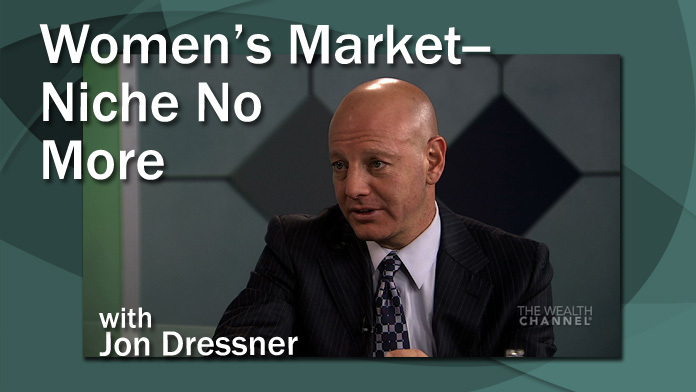 Jon Dressner discusses the changing role of women as clients over the years, stressing that more than ever, women are taking the reins when it comes to making financial decisions. The issues barring diversity from within the financial services industry and the inversely proportional relationship between stress, emotional intelligence, and bad decisions are discussed. Barbara Fowler explains how trust, understanding, and the right cultural perspective can help a person become a truly great leader. Barbara Fowler discusses motivating Millenials and cultivating a diverse team of advisors.